Transitioning from being the lead singer of a very popular band into trying your own solo career is always a tough venture. Nearly every big time front man tries it, and it’s probably only a 50% or so success rate. Today’s artist did it – and had some solid results, but will probably forever be known for his work with probably one of the top 50 rock bands of all time. John Fogerty was born in Berkeley, California in May of 1945. One of five brothers, his parents converted to Catholicism when he was a young child. With his parents growing up in South Dakota and Montana, his upbringing was a mixture of big city west coast, rural America and religion. Fogerty struggled in Catholic schools, telling a story how as punishment he was not allowed to use the bathroom during class hours. As a result, he would wet himself and be forced to sit in his own soiled clothing. It wasn’t until transferring to El Cerrito High School (a public school) when he took guitar lessons and found his calling. His love of music turned into a band with his older brother that got signed, but never really took off. He joined an Army Reserve unit and was discharged in July of 1967. That same year, that small time band changed its name to Creedence Clearwater Revival and big things began to happen for them. CCR is beyond well-known and respected, but you may be shocked to know that it didn’t last all that long for John. While Creedence still plays shows to this day, Fogerty was only part of the band until 1972. He knew his unique vocal style would easily translate into a solo career, so he went for it. 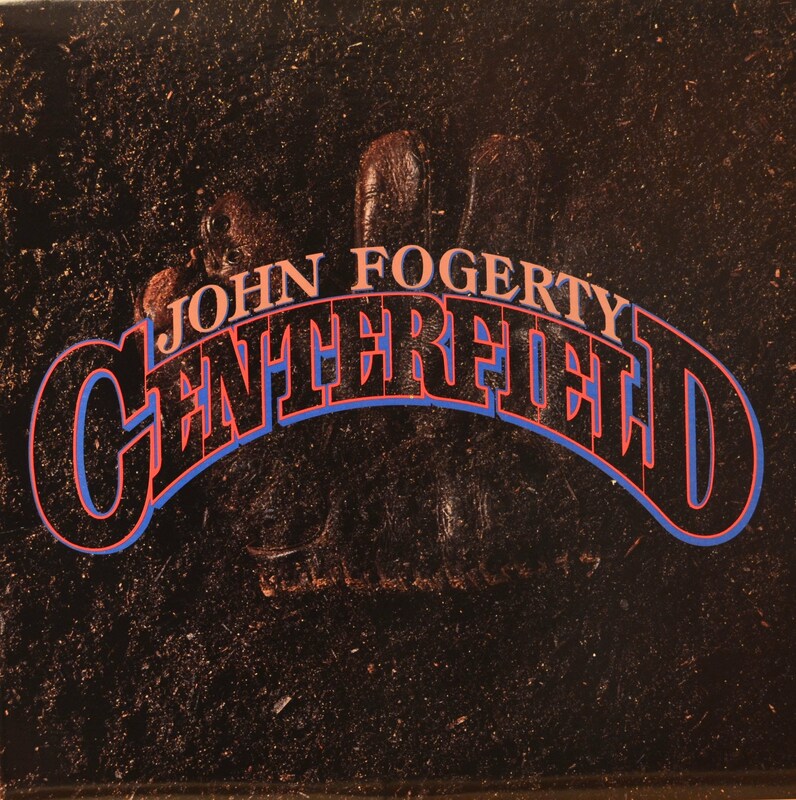 Today we look at his third studio release Centerfield which was released in January of 1985. Initial reaction was skeptical because it had been a decade since his last album, and people felt time had passed him by. Between legal battles and the breakup of CCR, Fogerty was deemed a bit hard to work with – because of that, he played all the instruments on this album himself, combined later by overdubbing. The album would go on to be certified 2x platinum in the US, Fogerty’s best-selling solo album to date. Albums like this can be really difficult to judge. Having been a big fan of CCR, I want to enjoy this as much as I enjoyed their old music. It has a very similar feel to it, a lot of Americana Rock with a little country and folk mixed in. It has a couple major singles, just like the old days too – but there’s something about it, it feels like something is missing. It’s hard for me to put my finger on exactly what that is, but it feels incomplete. That’s not to say it isn’t good, or worth listening to, because it certainly is. Any kid who played baseball grew up with ‘Centerfield’ as anthem of sorts, and that track holds up to this day. The rest of it sort of blends together, but certainly wouldn’t be offensive to anyone, it just plays a bit monotonous. 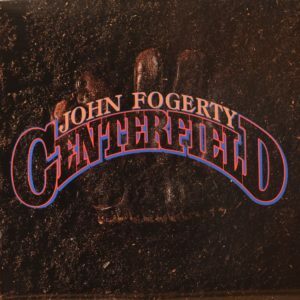 Centerfield is certainly worth a listen today – especially if you were ever a fan of John Fogerty or Creedence. Even if you weren’t, for $5 bucks, that’s pretty cheap for an hour worth of entertainment. Put me in coach, I’m ready to play. Interesting factoid about CCR: 5 #2 hits on the Billboard pop singles’ charts–no #1 hits. Today’s fun factoid: The cover art for Centerfield is based on the San Francisco Giants’ logo, employed from 1983 to 1993. Thanks, Austin, for the fun weekly posts. Always great to hear about a Bay Area artist! !